The online marketplace has only gotten more saturated. To stay competitive in the coming year, you should consider scaling your content production. Scaling your content production will help you hit all your target keywords; stay on top of content trends; and help your business reach a larger audience. 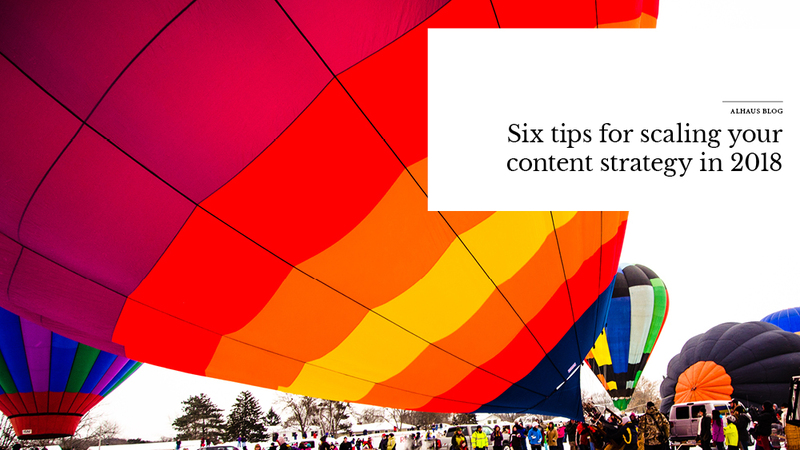 Here are six tips for scaling your content strategy for the New Year. Creating content is only one piece of your content management strategy. You also need to determine how you will distribute your content. Determine what outlets you will plan to publish content. Evaluate social media sites, comment boards, and industry networks for effective distribution. Then make sure that you understand the most effective ways to use these outlets. An editorial calendar will help you stay on top of your publishing goals. Editorial calendars track every step of the content publishing process from brainstorming session to publishing dates to authors. Make sure that your editorial calendar includes reminder alerts and has some flexibility to help you adapt to the latest trends. Automation is a great tool for scaling your content. There are several programs that you can load your content and set publishing dates and times on your website and across all the key social media sites. Using automation helps save man hours spent on publishing and sharing your content, which can be used for creating more content. Creating a larger volume of content means that you will need more contributors. Consider reaching out to people in other departments to see if they will contribute content within their subject-matter expertise. You will be pleasantly surprised what other people in your company come up with for new content. Scaling your content requires a lot of man-hours and you may simply not have the resources available. In that case, your best strategy is to hire a content management company like ALHAUS. A content management company will put together a great strategy; help you produce high quality content; and make sure you are meeting your volume goals. If you are looking to expand your online presence and stay competitive in the marketplace, these scaling tips will help get you started. ALHAUS is here to help with any part of the process. We offer a full range of great content management services that can ensure you reach all your 2018 goals. Contact us today to learn more!